True Life: Of the past 44 hours, 18 have been spent Living Socially. My job is the most fun. But now that I’m home, cozied up in sweats and slippers, I am fully ready to live anti-socially for a bit. And what’s more anti-social than blogging about myself? When we last me, I regaled you with tales of my trip to Chicago but, more specifically, to the Goose Island Brewpub. And, don’t get me wrong, that was delicious. But, let’s be honest, no trip to Chi-town would be complete without a solid amount of edible adventures, in addition to the boozier ones. 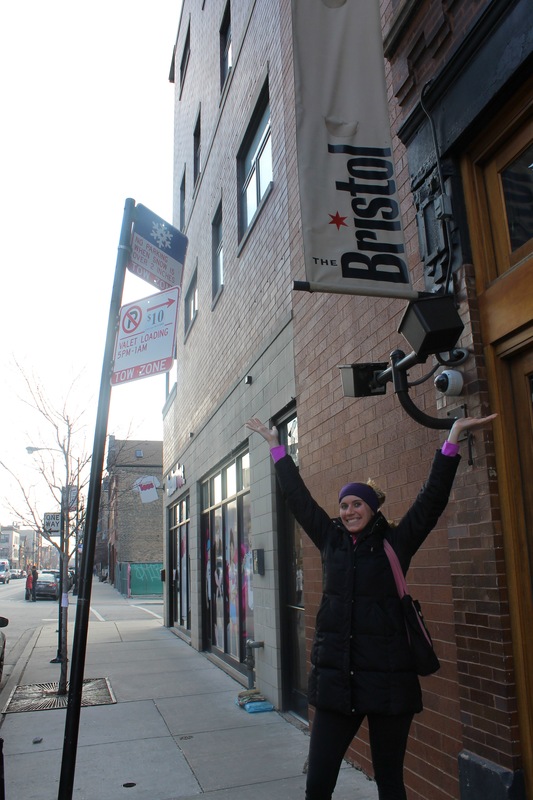 And thus, with empty bellies and a full itinerary, my buddy, Katie, and I hit the ground running in hopes to eat our way through some Chicago specialities on our very own self-guided food tour of Wicker Park and the Loop. Or really, for some duck fat fries. Katie, a fanatic for all things duck fat (or really, duck-related), has been eyeing these puppies for a bit. 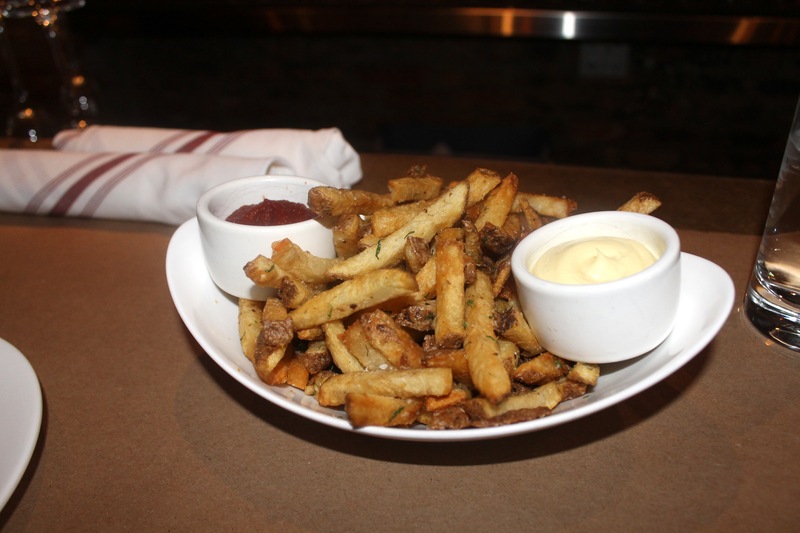 And, when the opportunity to dip crispy fries into mayo-disguised-as-aioli, who am I to say no? For $5, this portion was generous, and came served with a side of housemade ketchup (which was a little thick for my liking) and tossed with herbs (which were right up my alley). But, honestly, these were the type of fries that would’ve been a-okay even without dipping sauce, the kind that have you licking your fingers and contemplating licking the plate clean of any niblets. 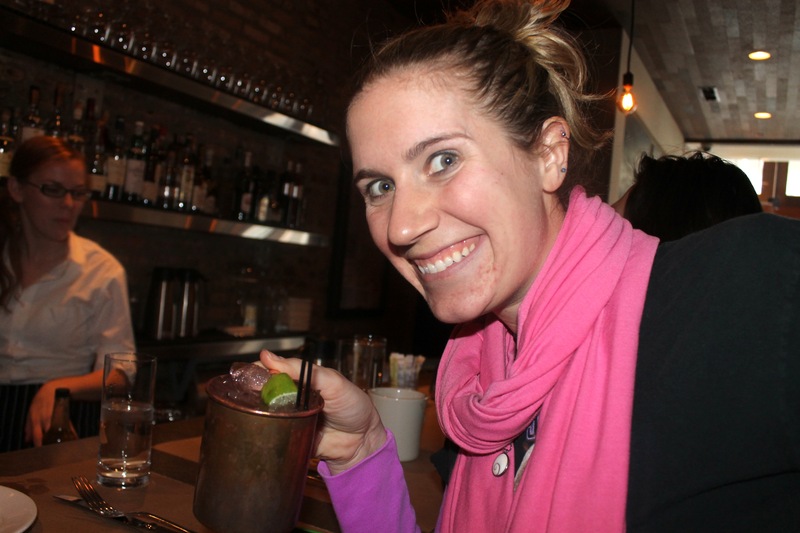 I couldn’t resist the Moscow Mule on the menu, so I guess this day wasn’t entirely booze free. This Mule was made with American Harvest Vodka, fresh lime juice, and Barritt’s Ginger Beer, and served in what looked like an adorable tin or copper mug, this cocktail was refreshing, light, and chock-full of ginger taste. I’m into that. I’m real into that. Our tongues coated in salt and savory taters, we decided our next stop should be something sweet. 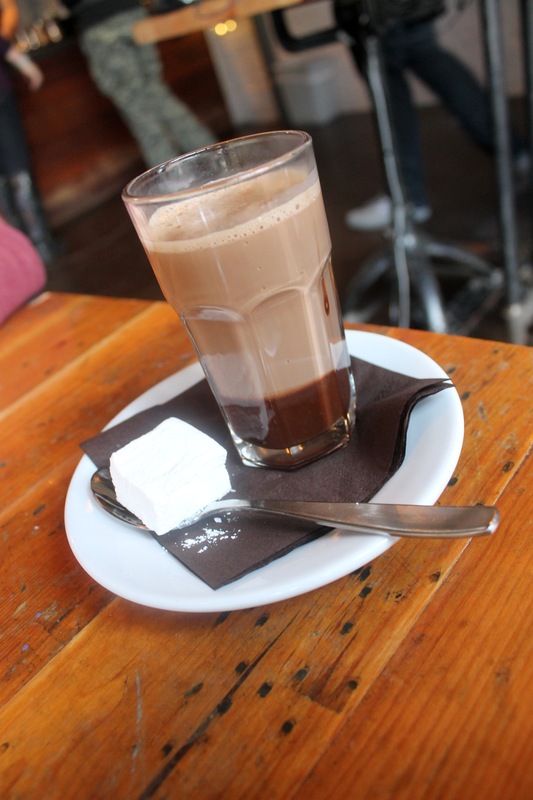 And what’s sweeter than hot chocolate on a freezing cold day? 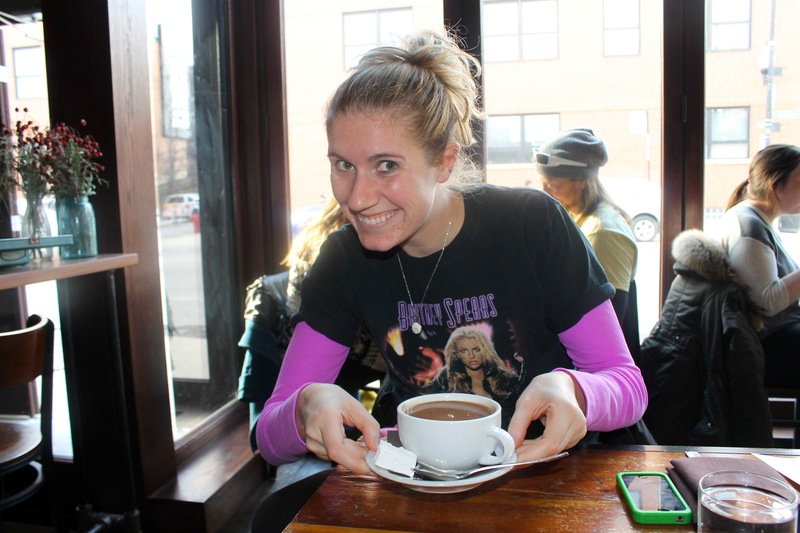 Mindy’s Hot Chocolate might be my favorite concept for a brunch ever. Many tables were loaded with mimosas and bellinis and, I’ll admit, it was tough not to blow my load and eat everything on the menu. But I only had eyes for their hot chocolate. Each mug is served with a house-made marshmallow. And I went for the Mexican hot chocolate. 2/3 dark chocolate, 1/3 milk chocolate, fresh cinnamon and cayenne? Katie went for something even more indulgent. The Black & Tan is 1/3 hot fudge and 2/3 medium hot chocolate. I tasted a sip or two, and felt as though it was meant to be poured over ice cream. That, or directly into my gullet. We took a little breather over at Casa de Sierra, author of Posh Meets Pavement AND former classmate from UNC , and I irresponsibly didn’t take any pictures. But check her out, she’s living locally in Chicago and, in her free time, travels the world and runs half-marathons. Crazy person. Four hours later (ish. Felt like no time at all, the beauty of bonding with college friends), we were ready to revisit the world of treats. And, as I’d Yelped my way through the entirety of Chicago earlier (maybe a little less, but that’s what it felt like), I knew where we were headed next. 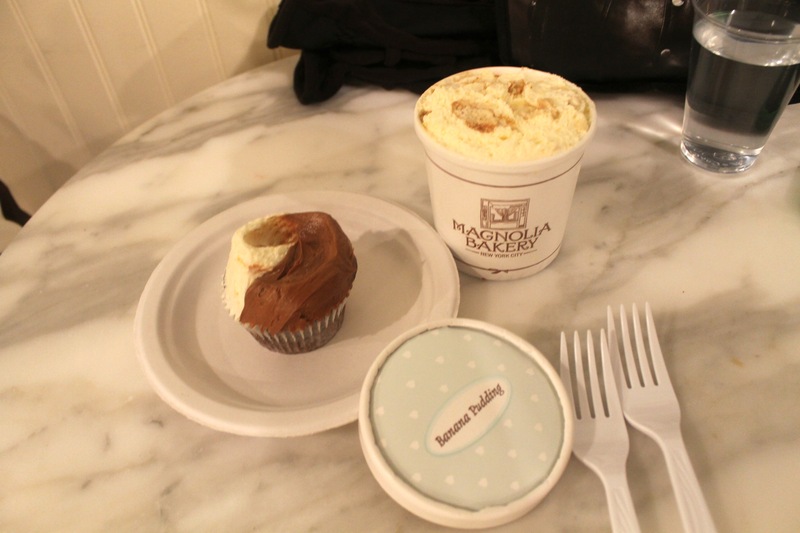 Magnolia Bakery for their infamous banana pudding. Katie went for a B&W cupcake. Full disclosure: The cupcake was meh. Nothing to write home about, in my humble opinion, but that didn’t bother me. I’ll tell you why. This banana pudding was about as life-changing as I think banana pudding can be. I feel like, despite having many experiences with banana pudding before, I have never truly tasted it before this banana pudding. You might think I’m exaggerating. This is the banana pudding by which all future banana puddings will be judged. The bar has been set, banana pudding. I’m calling you out, and you must be pillowy, flavorful, full of bananas, fluffy, and also made with love. And, I know it was a little out of order, all that dessert before dinner, but that’s the reason we became grown-ups, right? We knew what we needed to eat for dinner. 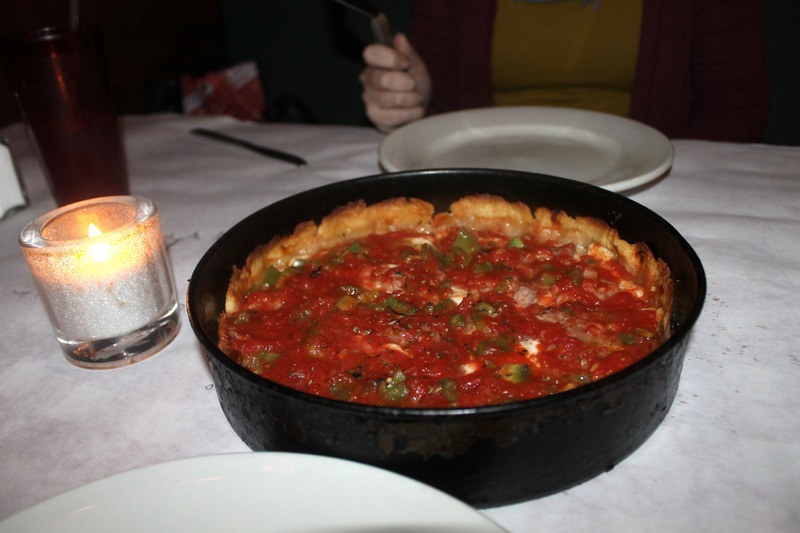 It was meaty, it was cheesy, and, of course, held in a deep dish. 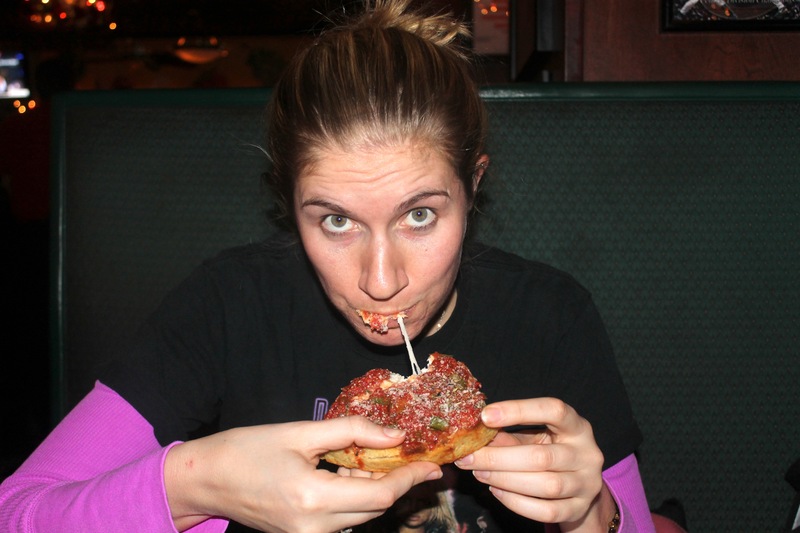 Pizano’s Pizza was, quite simply, the closest spot with solid deep dish pizza reviews. But we were SO pleased. The crust tasted almost like a savory pie dough. The sauce was super-flavorful. But I think my FAVORITE part was the cheese. It was like…. cartoon cheese. Let me elaborate. You know in cartoons you watched as a kid (or yesterday), when they’d order a giant cheesy pizza and, when the characters grabbed a slice, the cheese would go on forever? It was that kind of cheese. And it was PERFECT. After we waddled our way back to Katie’s home and sat back in full-belly bliss, I appreciated Chicago cuisine utterly and completely. And then, I shamelessly grabbed another spoonful of banana pudding. Chicago, you did me dirty. I loved every bite, and I can’t wait to come back. What cartoon food would you LOVE to taste in real life? Ever had a dessert that rocked your world quite like that banana pudding? Holy crap, that black and tan!!! And the marshmallow next to it?!?! I know, RIGHT?! It’s just…. ethereal. I love deep dish pizza. And Moscow mules. The best things in one day?! Yes, please. ugh I am so jealous! I am glad you posted about the deep dish pizza now I know where to go for deep dish next time I go to Chicago which is hopefully soon! So many options, but this one was pretty fantastic. 1. I wouldn’t mind getting my hands on a Dagwood sandwich. 2. I’m not much of a dessert eater, but when I went to Italy and had my first gelato, my life was changed. It was banana flavor, which I’m not super crazy about, but the fact that it tasted like actual banana and not fake candy banana flavoring turned my world upside down. 1) maybe if you could unhinge your jaw. 2) I do hate fake “fruit” flavors. Banana and grape “flavors” are the worst. addendum: I do love a LOT of styles of pizza. Basically, you have tasted more of Chicago than I have. I totally second that opinion about the cupcake. I’m actually a little happy that their cupcakes are sub-par because imagine having AMAZING cupcakes so close? Trouble. Bullet dodged, as you’re a bananarama-no-thank-you-ma’am-a. BEN I DID have that! They brought it over to us, fo’ free, since I was from Philly (our server was also from Philly!) Just one of the MANY perks of being from this glorious city. the next time you do a food tour of chicago and are in the wicker park area, you should totally check out frontier. it’s just … unbelievably delicious. I DO love me some fried chicken. Hot fudge in hot chocolate? Ohhhhhhh my god. Now I’m craving hot fudge in a McDonalds sundae. 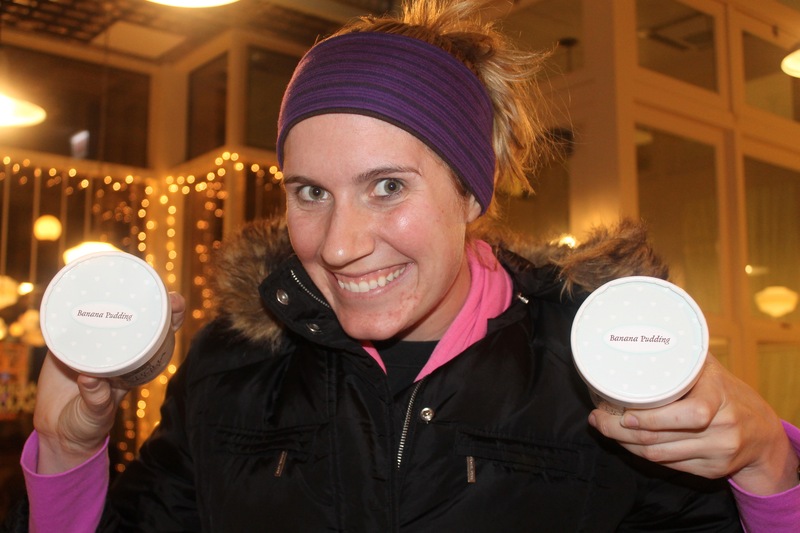 Those are dang good (though I’m sure her hot chocolate was obviously better). Lauren and I once did a vanilla cupcake taste test of four different recipes to try and see which one had the best ingredient mix and one of our sources was the Magnolia Bakery cookbook. I’m pretty sure Martha Stewart won the taste test, but I remember Magnolia’s being really good also. Ahhhhhhh bread pudding. So underrated. I’m glad you ordered it! I would like to try a cartoon ice cream cone. You know- the ones with like scoops and scoops of different colors that never melt into one another and never fall over? That’d be nice. I’d like hot fudge on my hot fudge.